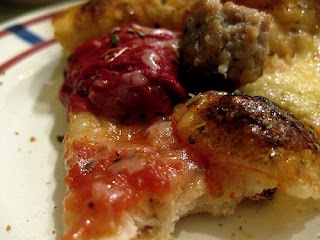 GQ Names Great Lake Nation’s Best Pizza Reviewed by Edgeville Buzz on May 19, 2009 . GQ magazine’s food writer, Alan Richman, named Great Lake’s Mortadella Pie the best pizza in America. Richman traveled 20,000 miles to find the perfect pie before selecting the winner, made from fresh garlic and the Italian bologna-like sausage. Great Lake is located at 1477 W Balmoral Ave. (we also featured them on the ECB earlier in the year). The story will run in next month’s GQ. You can find the entire list of the top 25 pizzas here.